When a gift is handmade, it carries special meaning. It shows you took the time and effort to make something truly extraordinary. From coasters to cupcakes to potted plants, there are plenty of creative DIY gifts for everyone—including best friends, grandmothers, parents and party hosts. We’ve collected 57 unique DIY gift ideas that will inspire you to start creating. 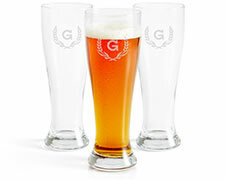 Keep in mind that the best gifts are both personalized and practical. Something as simple as a cutting board can be decorated or customized in a matter of minutes. Note your favorite tutorials and try them out the next opportunity you have to give a special gift. And once you’re done with this list, don’t forget to check out our gift finder for extra help finding the perfect present. Create a beautiful place to store rings and other jewelry. Bake pieces of colorful clay in marbled patterns to make exquisite jewelry dishes. Fashion a sleeve with a handle out of heavy-duty leather. Cut a shape like a diamond or a triangle out of the sleeve to personalize the look. Add some personality to an ordinary mirror by using washi tape. Choose a few colors then layer the tape in a consistent pattern around the mirror. Make a creamy milk candle with a sweet aroma. Scents like lavender and vanilla can be added to the melted wax. Fill jars or quirky candle holders for decorative decor. Bake up a batch of roasted almonds with a cinnamon flair for a sweet gift. This delicious gift is perfect for greeting new neighbors, thanking hosts or surprising someone with a yummy treat. Ideal for outdoor use, suncatchers made of melted beads are durable and beautiful. Choose colors ranging from red to yellow for a bright and festive suncatcher. Form wooden coasters out of popsicle sticks and thin boards. Decorate your pallets with patterned washi tape for a gift that’s great for coffee and tea lovers alike. Personalized wall decor for kitchens, living rooms and bedrooms makes for truly creative gifts. Choose a quote or phrase and add images to go with it. Have a best friend or family member who loves sparkles? Dip coffee mugs into colored glitter, like gold or purple. 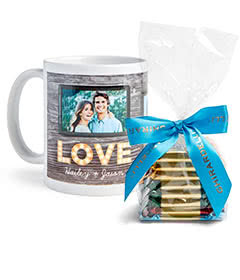 Your loved one will feel glamorous as they sip their morning tea or coffee. Construct a bracelet that’s easy, cute and customizable. Find birthstone beads to incorporate into the jewelry for a personal touch. For every dog lover in your life, create a gift that’s thoughtful and useful. Glass etch encouraging words or the dog’s name onto a jar for special treats. Mix together a lovely smelling potpourri made of cloves and orange peels. Fill a glass jar and label it for a classy gift. Cut heart shapes out of maps from important places: where you and your significant other met each other, where you were engaged or where you got married. Label each location and frame the piece for keepsake art gift for your significant other. Enhance wooden bowl, great for nuts and appetizers, with small painted designs. Consider polka dots, stripes and flowers for your patterns. Give a refreshing gift: a lemonade kit complete with the pitcher and wooden spoon. Include fresh lemons and sugar for this energizing treat. Have a friend who loves to host dinner parties? Make a custom cheese board! Sew a tote bag for carrying books, magazines or crafts. Choose fabric that matches the style of the person you’re gifting it to. Create a special laptop case for the person in your life who’s always on the move. Whip up delicious butter varieties, like honey and berry, then package it in small jars. These delicious butters can be spread on toast, bagels and pancakes. It’s a perfect gift for friends or family that love to cook. Salsa and chips are a favorite snack to many. Mix a large batch of salsa together and pour it into mason jars. Tie each lid with a ribbon and tag. Customize a pillow to fit the style of the person you are gifting it to. Choose a quote that’s uplifting and add photos for a personal touch. Start your project with solid-colored candles then decorate them with washi tape designs. Place them in candle holders for a complete display. Build a beautiful display for hanging necklaces, bracelets and headbands. Choose your favorite design to be the anchor for the jewelry board. Bake a batch of vanilla or chocolate cupcakes and decorate them in style. Fresh berries, whipped cream and syrup make for delicious toppings. Find simple boxes and decorate them with patterned washi tape. Fill your gift boxes with jewelry, candies or mints. Make traveling for your sister or coworker a little more fun. Fashion a leather passport holder that they can take all over the world. Terrariums come in many shapes and sizes. Create a plant terrarium kit for a sibling or coworker by including a jar, soil, rocks and plants. This way they can personalize their plant’s home. Infinity scarves can be worn in spring, fall and winter. Make one using a knitting loom in a color of yarn that will match a range of outfits. Create a custom coat hanger by adhering floral wrapping paper. Paint the knobs and border in a complementary color. For a friend who loves to write and jot down memories, personalize a journal that they’ll keep close to their heart. Add words and phrases to the cover that will inspire them. Pour melted wax into jars for homemade candles. Add scents like mocha or cinnamon to give them fragrance. 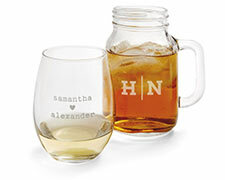 The best creative gift ideas are ones that are personalized. Take an embroidery hoop, cover the circular space with fabric and add a monogram. No matter your crafting ability, this creative DIY is easy and straightforward. Press patterns into clay then bake it to form a small dish—perfect for rings, earrings and bracelets. Does your friend have an iPad or e-reader? Sew a custom case out of felt and add a button with an elastic hook for easy opening and closing. Create a unique picture frame where many photos can be hung. Secure wire across an old frame or window pane. Clip photos with clothespins to personalize it even more. Dip dye upholstery cording in bright colors, then wrap the pieces in circular fashion to form round coasters. These creative gifts make for great decor in the kitchen, dining room and living room. Made out of elastic bands and fabric, these bookmarks hold the right page and don’t slip during travel. Add to your gift by including a book or journal. If you’re not a seamstress, don’t worry. Stretchy headbands can be made from fabric scraps using a simple pattern. These hair accessories can be worn for workouts or Saturday morning brunches. This creative DIY gift idea is a good go-to. Clutches make great mini purses for going out or storing makeup. Personalize the clutch by adding a monogram. Add character to a friend’s room by painting the base of a lamp with a fun color like green, blue or pink. Pair the base with a patterned lampshade for extra style. Bring personality to the dinner table of the animal lovers in your life. Paint gold accents on the paws and ears for an attention grabbing touch. Create personalized pillows with colored fabric to match your family or friend’s decor. Pick a fun pattern and pair it with more neutral tones for a complete look. Enhance a simple rug by painting stripes from end to end. Make it an accent or complementary piece to a living room or bedroom. With jewelry wire and glass beads, form a necklace that resembles a bird’s nest. Incorporate a birthstone or pearl to the mix for a necklace that’s truly special. Line a cork board with fabric and use that same fabric to create the board’s hanger. Purchase matching push pins and add photos with quotes that will make your friend smile. Boost the look of a potted plant by painting it in a solid color and engraving a message. Place a basil or thyme plant in the pot to produce herbs that can be used all year long. Repurpose a cupboard door to create a serving tray for coffee, tea and snacks. Paint yours white or design it with a pattern. Accent a scarf with a simple design like flowers or feathers. Stencil on your design with fabric paints. Jazz up a picture frame with gemstones of the same color. Place a photo inside to personalize your gift even more. Paint a vase with thick stripes of varying colors. Add fresh blooms for a complete gift that makes for stunning decor. Give a set of porcelain bowls a boost in style with ceramic paint. Your miniature patterned bowls will make beautiful, creative gifts for anyone who loves to cook or host guests. Find decorative tea cups in your home or at second-hand stores, then fill them with melted wax. Add a wick for a charming and calming gift. Both pleather and leather are easy to work with and can be formed into a clutch. Accent with stars and hearts, then attach a buckle for a clutch your friends will be proud to tote. Make wall art out of newspaper clippings—ideally a paper with special meaning like a high school sports clipping. Layer it with a favorite quote or phrase. Handkerchiefs are versatile. Dye a batch a variety of shades for everyone on your guest list. Create a Spanish-inspired gift with a sangria kit. Include a jar and plenty of fresh fruit. Add in a recipe so your loved one knows just how to stir up the delicious drink. These creative DIY gift ideas will be sure to put a smile on your loved one’s faces. Something as simple as a photo mug with a favorite snapshot from a trip or outdoor adventure will go a long way.